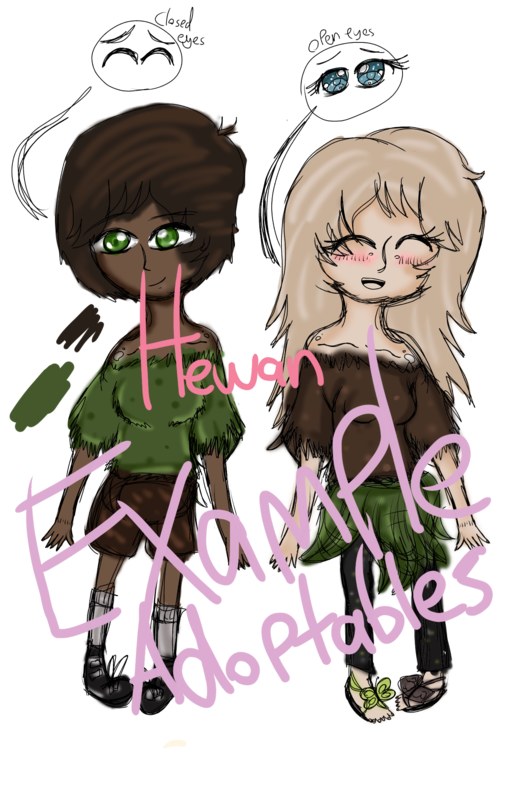 Here's some examples of adoptables on Hewan, these two are human ones. And what should I make them be? To actually be adoptable or?